Way, way back at the turn of the century--when I was still a bookseller--I began recommending what has continued to be one of my favorite summer reads. Elinor Lipman's 1998 novel The Inn at Lake Devine features a marvelous narrator, Natalie Marx, who opens her story as a 12-year-old in 1962 this way: "It was not complicated, and, as my mother pointed out, not even personal: They had a hotel; they didn't want Jews; we were Jews." Planning a summer vacation, Natalie's mother has written several letters to resorts in Vermont, but one particular response, from a reservations manager for the Inn at Lake Devine, concludes: "Our guests who feel most comfortable here, and return year after year, are Gentiles." Fascinated by "the letter's marriage of good manners and anti-Semitism," Natalie begins a decades-long quest to comprehend and address this attitude. Humor plays a key role in Lipman's novel, but it never detracts from the issues and the humanity at stake. After learning recently there will be a stage adaptation of The Inn at Lake Devine in New York this fall, I read the novel once again and found myself thinking about how strong the bond among authors, booksellers and readers can be. Lipman recently told me her connection with indies "is about personal relationships and continuity and history. And it's about the introductions on the road, too, almost always lovingly crafted and personal. One of my dearest friends is a bookstore owner, Naomi Hample, the middle of the three Argosy Books-owning sisters in New York. When I met her for the first time she said, 'I've always known I'd meet you someday.' I said, 'How come?' She said 'because I've read all your books and I felt like I already knew you.' Sigh. Is such an answer not the exclusive intellectual property of an indie bookseller?" To help celebrate Discovery Channel's annual Shark Week programming, Brightly featured "9 superb shark books for hungry readers." Feeling musically inclined, Bustle collected "10 books to read based on your favorite songs of summer, since we're all still 'Summer Girls' at heart." Flavorwire recommended "50 of the greatest summer reads of all time." The Guardian asked: "What are you reading this summer?" Authors and teens shared their reading lists. Buzzfeed featured "11 charts that accurately sum up being a book nerd." Bustle showcased "15 celebrities reading to kids that'll make you want to run out and stock up on picture books." When Rafael de Grenade arrives at Stilwater Station, a remote cattle station along the Gulf of Carpentaria in Australia's Northern Territory, it has been abandoned for years. Its fences and facilities are in total disrepair and the thousands of cattle living on the station's property have gone all but feral. Stilwater's new owners, though, want it turned back into a profitable operation, and they've hired a new crew to round-up the stock and restore order. Will Chancellor (@WillChancellor) grew up in Hawaii and Texas and now lives in New York. 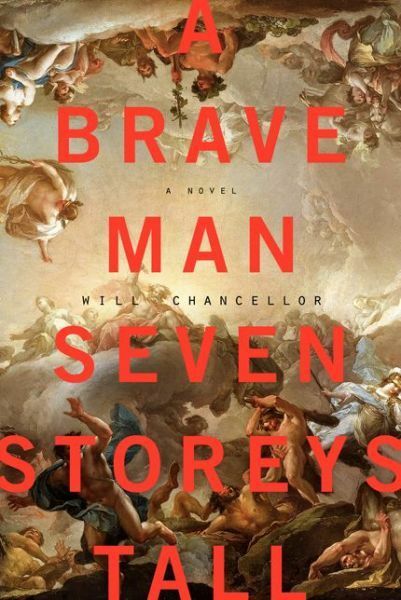 A Brave Man Seven Storeys Tall (Harper Perennial, $15.99) is his first novel. Here he writes about the research for his book, which involved, among other things, a two-month solo traverse of Iceland and playing water polo. I might not have become a writer had a 6'8" water polo player not said something outlandish my first day of college. I was in a conference room with a table full of nervous freshmen when our professor put up a slide of a Poseidon statue and asked us what we thought of it. Everyone was quiet. Then this giant raises his hand and says, "I don't think it's that accurate." The professor thinks that's an odd comment, considering it's a statue of a Greek god, and presses him, "What do you mean accurate?" Without missing a beat, the water polo player responds, "I always thought Poseidon would look like me." I had to figure out the psychological makeup of someone who would say that. Who are his parents? What's his worldview? What's his notion of subjectivity? Looking back on it, I might have just struck up a conversation and asked him in so many words, "What the hell, man?" And he was a nice guy. I'm sure he would have humored me. Instead, I approached his bizarre comment as if it were a logic puzzle. First, I read widely about different cultural conceptions of bravery and hubris--in the moment, his comment struck me as an odd synthesis of the two. After failing to find any bright parallel in research, I thought I might understand the character better by fictionalizing him. That wasn't working out particularly well, and I changed tack, thinking that if I did what I was writing about, I would better understand it. To that end, I played two seasons of water polo. I had a handful of friends in college who played polo, and they taught me the fundamentals. I made the team at the college where I was doing post-grad work and ended up playing the same position as Owen, the protagonist of my nascent novel. At the time, the book was clearly focused on the world of chlorine-bleached Southern Californians, how their hopes get dashed or get realized, in which case they end up even more warped. That focus would soon change. And, I'd argue, Owen would cease to be the titular Brave Man. I wondered most about his father. I had the intuition that his mother would be absent, as saying something that outlandish--failing to consider how your words will register--seems martial, and at odds with a strong maternal influence. I was also certain his father would be a classics professor, despite knowing nothing about classics myself and being the son of a golf pro. So, rather than continue studying what I was there to study, I took intensive Ancient Greek and translated parts of the Odyssey to better understand the classical world. After a few months of translation, I realized I was at the wellspring of the father/son story. And the book changed: the father was the real protagonist. Like me, he was baffled by the world of his son. Especially when his son veers into art. Here I wanted to be sure to write about the art world from the point of view of artists rather than "insiders." I didn't want it to read like The $12 Million Stuffed Shark. I wanted to be harsh, but fair--to play with critiques rather than to spout them. Most of my friends in New York are visual artists or musicians who are quick to pounce on a layperson pontificating about art or on someone with a great deal of knowledge highlighting the absurdity of the art marketplace. Luckily, a conceptual artist and friend heard about what I was doing and pitched a collaboration. After a year of kicking around potential projects, we submitted a proposal to the New Museum and were selected for the 2011 Festival of Ideas for a New City. The son in Brave Man, Owen Burr, enters the Berlin art world with naïve notions of both art and artists. As a direct result of his ignorance, the art world chews him up. I tried to be more prudent. There are a lot of other examples of this book taking over my life, but the most striking, and nearly fatal, was my decision to traverse Iceland in 2009. I knew the story was always going to end there (the only antecedent I could find for a comment like the one I heard my freshman year of college is in the Sagas of Icelanders), and the research burden was too high to fake it. I tried twice and the results were horrid. So, after having written the climax of Brave Man four years prior in a New York coffee shop, I hiked across Iceland from the Snaefellsness Peninsula to Egilstaddir. Most of this was off-trail. I went weeks at a time without seeing anyone and had a few close scrapes when I deviated from the plan in favor of a shortcut. In the end, these two months of my life ended up being about two paragraphs of the book (the paperback, however, has a short photo essay in the PS Notes). Over the 10 years it took me to write Brave Man, I re-enacted as much of the plot as I could. The result is a story in many ways opposite to my preconceived notions of classics, conceptual art, and Icelanders. Christina "Tiny" Schuyler, daughter of an aristocratic New York family, has built a seemingly flawless life for herself as the perfect Boston society wife. Groomed from childhood to marry well, Tiny has slipped smoothly into that role with Frank Hardcastle, scion of a Kennedy-esque political dynasty. But in the summer of 1966, as Frank begins his bid for a congressional seat, both his campaign and his marriage to Tiny will be rocked by long-hidden secrets. Beatriz Williams (The Secret Life of Violet Grant) returns to the world of New England high society with her fourth novel, Tiny Little Thing. The narration alternates between 1966, as Frank's campaign gathers steam, and 1964, when a chance encounter threatens to upend Tiny's carefully constructed future. Williams deftly unravels her characters' actions and their consequences, building layers of dramatic tension through fraught family dinners and clandestine phone calls. Tiny is an appealing narrator: the proper, respectable eldest daughter, caught between society's expectations and her own deeply buried desires. Frank's cousin Caspian, a decorated Vietnam War hero, throws a monkey wrench into Tiny's plans--as does her brash, beautiful sister, Pepper, who descends on the Hardcastle family compound on Cape Cod with news of her own. Discover: A glittering novel of political ambition and family secrets, set in 1960s Boston. Stephen Jarvis's impressive debut, Death and Mr. Pickwick, is an immersive experience that richly rewards its readers, filled with an array of characters. It's about an ages-old debate concerning who was the creator of the 19th-century serial novel The Pickwick Papers. Robert Seymour, the most prolific illustrator/cartoonist of his era and the first Pickwick illustrator, said that the character of Mr. Samuel Pickwick and his Sporting Club were his ideas. When the monthly installments of the story were published in book form, young Charles Dickens, who provided the text to complement the illustrations using his pen name, Boz, claimed in a note that he was the sole creator. By then, Seymour had committed suicide. As his novel runs its course, Jarvis argues for Seymour's claim of ownership. Despite a winding and interwoven narrative, the tragedy of Seymour is always at the novel's core. Seymour has some career successes, then failure. When he finally creates a promising new caricature--Mr. Pickwick--his hopes are again thwarted by his publisher. He died before his 40th birthday. Discover: A famous Victorian illustrator and the "truth" behind the origins of The Pickwick Papers. As the title implies, nearly every piece in Rebecca Makkai's Music for Wartime involves a musician or survivor of conflict. But the title also suggests an underlying theme throughout the stories: the all-too-human attempt to make order and beauty out of chaos. Music, for all its flurry and improvisation, does just that. The first collection from the author of The Borrower and The Hundred-Year House, Music for Wartime shares the quirks of Makkai's previous work, though nicely balances any twee-ness with weighty depictions of illness, death and betrayal. Most relationships in these stories are doomed, usually due to cruelty, and the ones that do survive seem to be founded on the strangest of bedrocks (the best example concerns a Hungarian couple--the husband, a Nazi sympathizer, saved his Jewish future wife from the death camps). Makkai can also be brutally funny, especially in creating outlandish characters who nonetheless feel as though they could exist in reality. The quality of the pieces is a bit uneven. Here and there small turns of phrase seem overwritten, and a few of the stories rely too heavily on rhetoric ("Everything We Know About the Bomber," a series of facts about a terrorist, is the most egregious example). At worst, the pieces in Music for Wartime are solid, if not remarkable, but standouts "The Miracle Years of Little Fork" and "Good Saint Anthony Come Around" make this collection more than worth picking up. --Noah Cruickshank, marketing manager, Open Books, Chicago, Ill. Discover: A set of funny, haunting short stories about love and war. Spitfire private investigator Fina Ludlow returns for Ingrid Thoft's third hardboiled crime novel, Brutality. Instead of receiving a case from her family's legal practice, Fina brings this one to them. But what she peddles as a potential payout may turn into a major disaster. Bereft mother Bobbi Barone hires Fina to find the person who assaulted her daughter, Liz, leaving her for dead. The pool of suspects is large: Liz is pursuing a lawsuit against her college alma mater, and it's no secret that she and her boss do not get along. As Fina scratches the surface of Liz's life, even more creepy-crawlies emerge as potential assailants, leaving her with a full can of worms to investigate. Somewhere in that mix is a deadly snake, and when Fina pokes too close, she finds herself--and her family--in danger as well. Brutality's plot contains excesses that slow the story's pace, but Thoft (Loyalty) still keeps the suspense high and her readers engaged. This is in large part due to her fantastically quirky protagonist. Seeing more layers of Fina's complexity peeled away in each novel is as entertaining as figuring out whodunit. Thoft continues to play up Fina's humorously oddball characteristics, like coveting a vending machine in Costco as "the answer to all my prayers." She also demonstrates her P.I. 's passionate side through Fina's relationships with family and friends. Discover: Fina Ludlow will go to almost any length to help a mother discover who viciously attacked her daughter. In the near future, China leads a sneak attack on the United States from orbit, cyberspace, air, land and sea. Chinese astronauts use lasers to disable American satellites, hackers undermine everything that uses microchips, anti-ship missiles decimate the Pacific Fleet, and conventional forces overrun the Hawaiian Islands, all in one masterful blow. A blinded United States is cowed back to continental borders, unable to retaliate or even sneak submarines into a Chinese-delineated zone of control stretching across the Pacific. U.S. Navy officer Jamie Simmons narrowly survives the invasion of Oahu, becoming the only captain to escape the "kill box" of Pearl Harbor. Back home in San Francisco, Simmons is given command of the USS Zumwalt, the largest ship in the navy's mothballed Ghost Fleet. Jamie, his estranged sailor father and a Chinese-American scientist prepare the Zumwalt with a novel weapon that, along with other out-of-the-box efforts, might restore American power in the Pacific. Meanwhile, on occupied Oahu, the ironically named North Shore Mujahideen and a femme fatale serial killer make life difficult for the invaders. Discover: A thrilling and frighteningly realistic near future war between the U.S. and China. Sarah Hepola, the personal essays editor at Salon, begins her courageous and very funny memoir in the middle of a sexual encounter in Paris while on a magazine assignment. She does not remember who the man is and recalls only returning to her hotel the previous evening after a night out with a friend. She's woken up after another blackout, beginning another day of trying to fill in the blank spaces where pivotal scenes should be. Hepola grew up in Dallas, the painfully self-conscious child of non-conformist parents who could leave the same can of beer untouched in the refrigerator for days. She had her first beer at six and was hooked. Hepola is unambiguous about the costs of alcoholism. Friends drift away. Her health and self-esteem suffer in predictable ways. But Blackout: Remembering the Things I Drank to Forget is anything but mundane: Hepola is a wonderful writer who can convey wrenching candor and wit in the same breath. "There's a certain brokenness that cannot be fixed by all the downward dogs and raw juice in the world," she writes when a friend offers yoga schedules and healthy food. Discover: A witty, insightful memoir that traces a bright young journalist's rocky path to sobriety. Jessica Fechtor blends the story of her near-fatal brain aneurysm with recipes as if it's a natural combination. And for someone with her optimism and modesty, it is. "When I tell people that I am writing the story of a bloodied and broken brain--and oh, by the way, there will be recipes, too--I get some strange looks," she writes of her memoir, Stir: My Broken Brain and the Meals that Brought Me Home. In 2008, Jessica, an ambitious doctoral student in Jewish literature, a marathon runner and wife, toppled from a treadmill. Thus began two years of surgeries, first for the aneurysm and then for complications. She lost her sense of smell and depth perception, and spent months in a protective helmet, followed by plastic surgery to rebuild her skull. Typical of Jessica's sunny attitude, she refers to this time simply as "her illness." Thoughts of food were a comfort. "Food is the keeper of our memories, connecting us with our pasts and with our people." And her people rallied for her: Aunt Leslie's post-surgery chicken soup, raspberries her family harvested "braving mud, and thorns and each other." Early in her recovery she resumed baking her traditional Friday night challah bread. Discover: A feel-good memoir, with recipes, of food blogger Jessica Fechtor's recovery from a burst brain aneurysm. Nancy Goldstone (The Maid and the Queen) has made a career of telling the sometimes forgotten and always dramatic stories of powerful women in medieval Europe. In The Rival Queens: Catherine de'Medici, Her Daughter Marguerite de Valois, and the Betrayal That Ignited a Kingdom, Goldstone turns her attention to Renaissance France and its role in the growing struggle between Catholics and Protestants across Europe. The betrayal to which the title refers is the infamous St. Bartholomew's Day Massacre in 1572, in which thousands of French Huguenots were killed when they gathered in Paris to attend the unwilling Marguerite's wedding to her Protestant cousin Henry of Navarre. In fact, the massacre is the most extreme of the betrayals--personal and political alike--that Goldstone describes. Goldstone overturns the prevailing historical view of Catherine as an able, if Machiavellian, ruler and Marguerite as a sensual dilettante. Instead, she shows Catherine manipulating her children in order to maintain her power in France. Marguerite stands in counterpoint to her, growing into a woman of courage and integrity. Goldstone makes a compelling case for both portrayals, using first-hand accounts from the period, including Marguerite's memoir. Discover: Deception, manipulation and a ferocious royal power struggle: Mommie Dearest 16th-century style. "When intelligence operates in the service of greed and hatred, we become dangerous to ourselves, to others, and to the planet. But if that intelligence serves the aims of compassion, the good we can do together has countless opportunities." This quotation from the Dalai Lama underlies his long-time friend Daniel Goleman's powerfully inspirational guide to the Buddhist monk's dream for the future of the world. Goleman (Emotional Intelligence) explores the work the Dalai Lama has done and continues to do in an effort to promote compassion, especially his partnerships within the scientific world. Touching on elements such as religion, education and economics, Goleman outlines the Nobel Peace Prize winner's concept of "genuine compassion." Then through philosophy, anecdotes and data, he illustrates its potential to revolutionize the world. The greatest strength A Force for Good elicits in galvanizing readers to this movement is its focus on the individual. The Dalai Lama believes, "Everyone can find a context where they make a difference. The human community is nothing but individuals combined." Therefore, the book works to show how personal changes can trigger butterfly effects. Discover: The Dalai Lama's map to a better future, paved with genuine compassion. Rinker Buck, a self-decribed "divorced boozehound with a bad driving record and emerging symptoms of low self-esteem," decided he needed to do something epic to change. A long-time history buff, he spent one winter thoroughly researching the Oregon Trail, the 2,100-mile route used by more than 400,000 pioneers to travel from the Missouri River to the Pacific coast. While some parts of the trail have been paved over with highways or lost to development, much of the old, rutted wagon trail still exists, mapped and marked, and is accessible to anyone searching for it. Fueled by lyrical descriptions of the countryside in the many trail journals he read and by the wonderful memories of a wagon trip he had taken as a child, Buck bought a wagon and team of three mules to cross the prairie, hills and rivers, just like those seeking a new life in the 1800s. 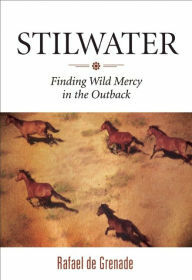 He and his brother, Nick, spent several months making the ambitious journey, enduring hardships, encountering generous and helpful people and experiencing the same richness of nature that trail riders of yesteryear had written about. Discover: A modern-day pioneer who crosses the Oregon Trail the old-fashioned way, with mules and a wagon and a lot of hard work. Valynne E. Maetani's engrossing debut novel begins with a mystery that won't release its hold on readers until the finish. Claire Takata was not quite seven years old when her father died 10 years ago. She loves Dad, the stepfather who raised and adopted her and her two brothers. But when a mysterious letter falls out of her late father's journal (which she secreted away from the garage while her mother was disposing of his belongings), it raises questions. For one thing, Claire's biological father and adopted stepfather knew each other. Why would they keep that secret? Claire confides her findings to her younger brother, Avery, and her older brother, Parker, and their tightly knit group of male friends, plus Claire's best friend, Forrest. As Claire uncovers layers of the puzzle surrounding her father's death, her own life teeters into dangerous territory. Claire is accused of cheating, someone breaks into her locker and her bedroom and plants four eyeballs in her backpack, and a black SUV starts tailing her. Could these events be connected with Claire's request for an autopsy report on her father? The report reveals something else: the tattoos on his body point to Claire's father's involvement in the yakuza, the Japanese mafia. Discover: A strong debut novel about a Japanese-American teen who wants to know the truth about her father's mysterious death. Bruce Coville (My Teacher Is an Alien) once again proves his talent for entertaining middle-grade readers with this hilarious account of Angus Cairns, a short-fused yet well-intentioned brownie who must leave Scotland for the U.S. due to an age-old family curse. With just a hint of archaic language to show his ancient roots, Angus makes readers privy to his innermost thoughts through his journal entries. He begins in late September, as Sarah McGonagall, to whom he's bound, is dying. The next "youngest female of age" is 11-year-old Alexandra ("Alex") Carhart, who lives in Connecticut. Coville intersperses letters--from the vet for the Carharts' cat, from Alex's teacher, and from the teacher of Alex's younger sister, Destiny--all of which portend trouble for poor Angus. The brownie believes that Bubbles the cat would be better served by a name such as Lucifer or Bloodclaw Reddifang, and Alex detests Angus's efforts at cleaning up her slovenly room. Gradually, human and brownie come to a truce. That is, until the curse Angus carries with him begins to manifest itself among the males in Alex's household. As Angus puts it, "I wanted to do as I ought, and keep their house trim and fair. Instead I have brought shame and ruin upon them." Discover: An unlikely duo--a fastidious brownie and slovenly human--come together due to an age-old curse in a comical middle-grade novel. Charming pen-and-ink and watercolor images of a thriving cast of curious bear cubs make this abecedary a pleasure to share with preschoolers. The ursine characters kick things off by holding up a banner displaying the 26 multicolored letters in upper case ("Alphabet from A to Z"), then Susan B. Katz launches into an alphabetical list that gives newcomers to day care the lay of the land. "Crayons for coloring, in my hand" spotlight a desk where two friends draw, and "Dump trucks, playing in the sand" highlight a busy sandbox. Some of the letters center on daily activities (E is for "Eating snack around the rug"; J leads into "Jumping rope across the map," which is painted on the blacktop), while others hint at more abstract enterprises (such as I for "Imagination, thinking cap..."). All of the letters help to reassure first-time visitors to daycare or preschool: "Kitchen during free-choice hour,/ Letter blocks that build a tower!" Katz's rhyme scheme never falters, while Munsinger pictures happy cubs as "Friends who share a hello hug" and plenty of fun things to keep them busy, such as glue sticks for art projects and hats in the dress-up area, paper puppets and play dough. Discover: An A to Z introduction for first-time visitors to daycare or preschool, starring a charming cast of bear cubs.